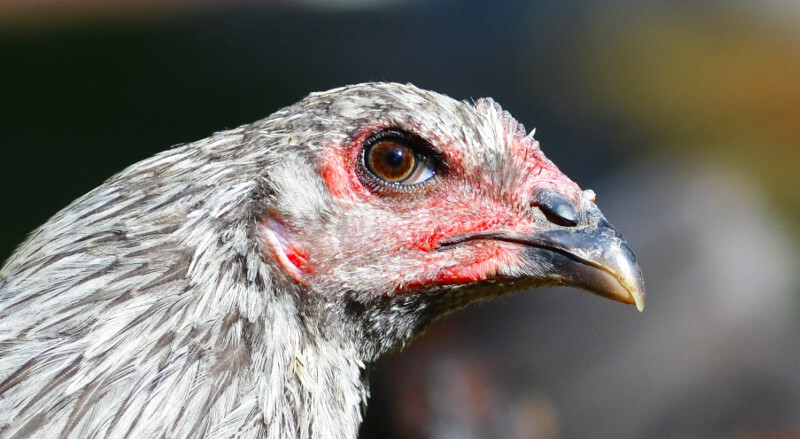 In Western Europe, for centuries bloodlines of game fowl were carefully selected to survive and dominate in the unforgiving world of the cockpit. 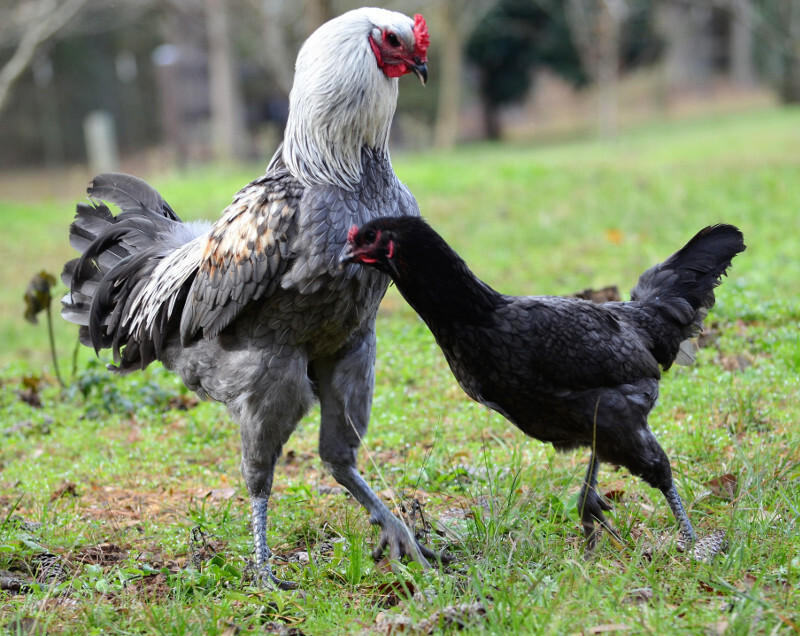 Belgians bred their farmyard birds to produce a meaty and powerful chicken breed -- originally called a Lombard’s rooster and later a Bruges Game-- that could vanquish an opponent or fill a roasting pan equally well. In the mid- to late 1800s in eastern Belgium the Bruges Game was crossed with large Asiatic breeds (probably Malays) to produce the Liege Fighter or Luikse Vechter. 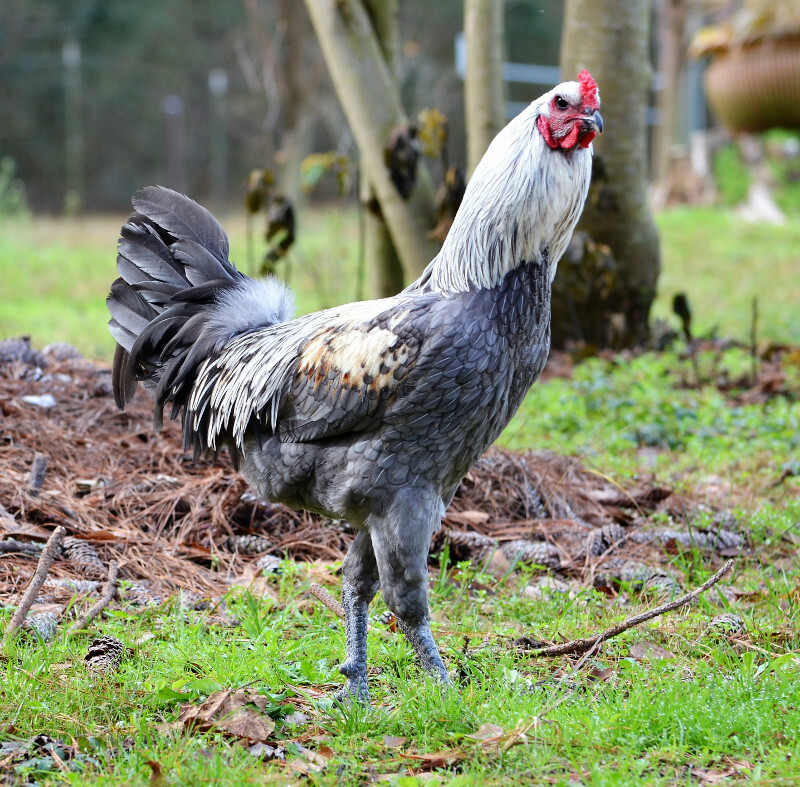 The Liege Fighter is one of three remaining breeds of Belgian game fowl; the others are the Bruges and the Tirlemont. The Liege Fighter was bred to fight with natural spurs (as opposed to the sharpened metal gaffes commonly seen today) and to be so large and powerful that it could easily overwhelm any other fighting breed. The Liege Fighter exhibits a number of striking characteristics. It is very large. 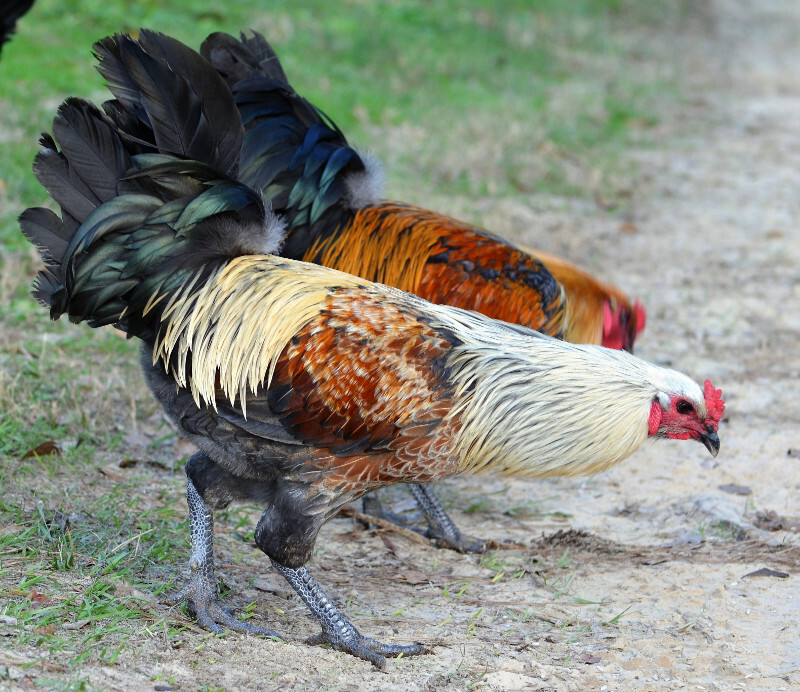 Adult roosters can exceed 30” in height and weigh up to 12 lb. 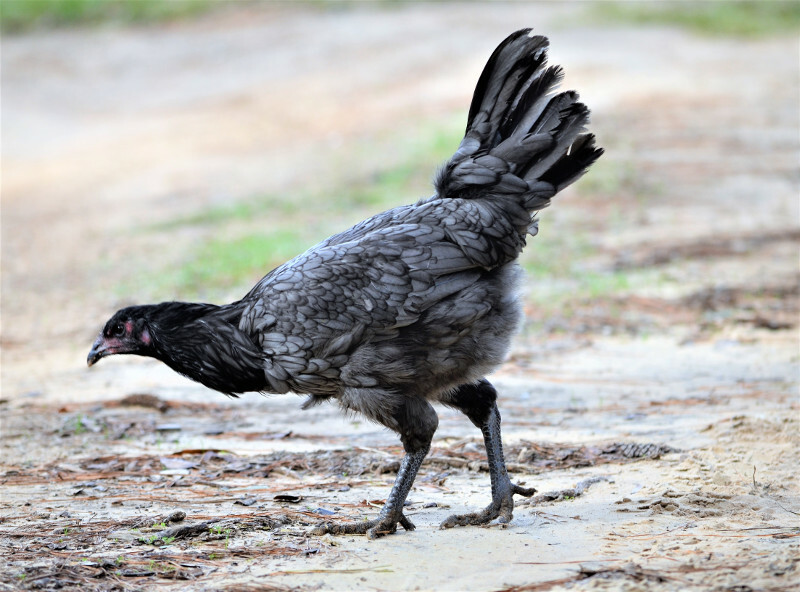 They can grow to be twice as large as American game fowl. Their weight consists primarily of muscle, and they are an intimidating breed in appearance. Their feet are truly huge; the largest we have seen in any chicken breed and as large as a turkey's feet. The feathers of the Liege Fighter are beautiful -- up to ten different color patterns are recognized for this breed—and their skin is often black. The have a fierce gaze that is shielded by the overhang of a prominent brow. Despite their very intimidating appearance these birds are friendly with their human handlers. But, pity the hawk that tries to threaten a hen when a Liege rooster is on patrol. 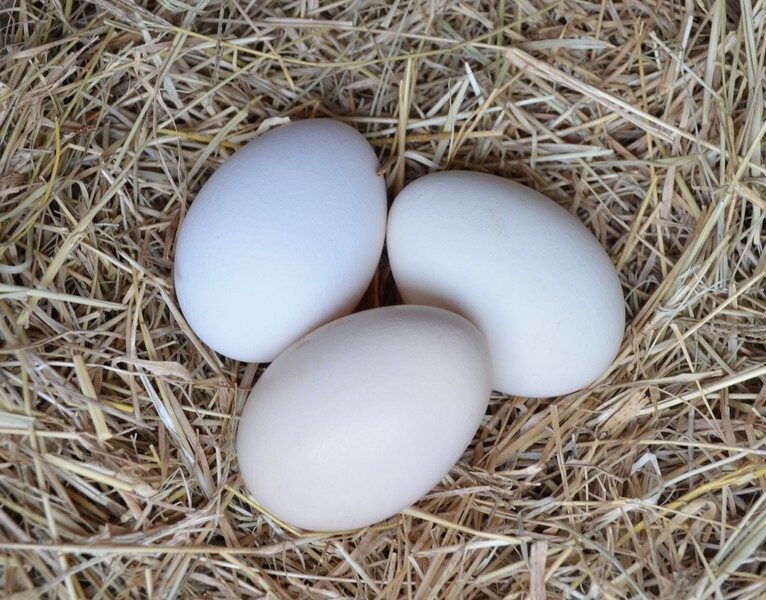 The hens and quite a bit smaller than the roosters and lay cream-colored eggs in reasonably large numbers. Greenfire Farms is the original and only importer of this breed into the United States. If you’re looking for a jaw-dropping addition to your chicken coop, you need look no farther than the Liege Fighter.